So I came home to find that my 7 month old puppy, Poppy, had managed to get and chew up my wallet and cards. I spent a while not too worried about replacing it; contently using a spare bull-clip and scrap of leather to hold all my cards & money together. But this temporary setup did start to get annoying… It regularly damaged my business cards, by constantly pulling it in and out of my pocket. 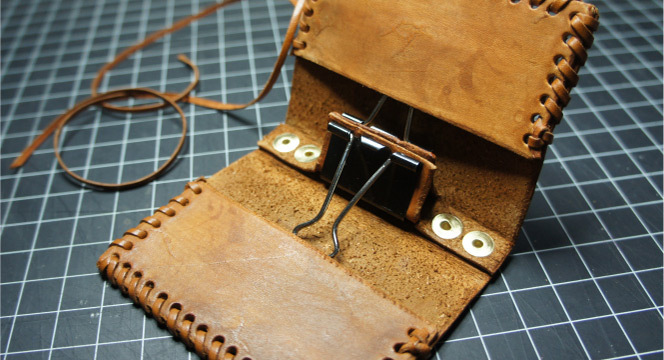 I really liked the size and how the bull-clip fit, so instead of buying a regular wallet I decided to simply ‘up-grade’ and make a new wallet that would properly protect everything in it. 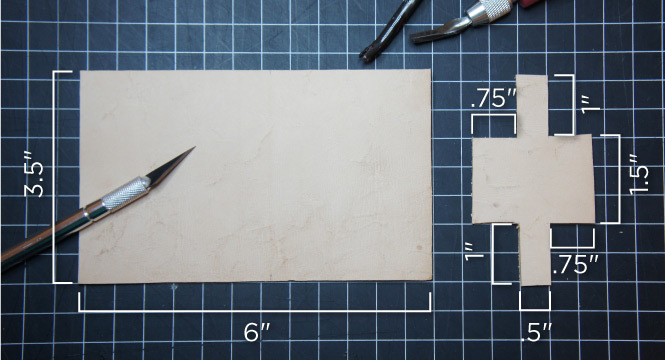 Here is a basic walk-through of the steps & measurements in case you want to try making your own. First start by cutting out the parts for the main body. 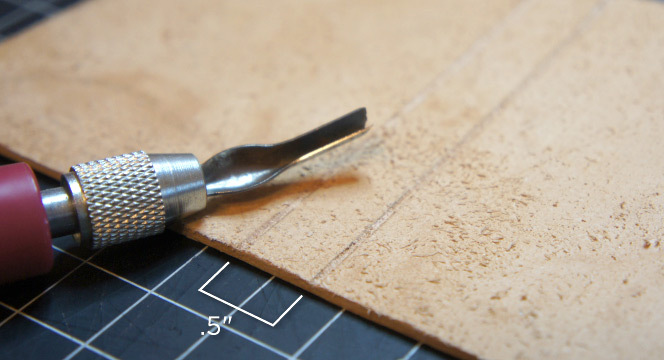 Score all the fold lines on the inside of the leather with a lino chisel. 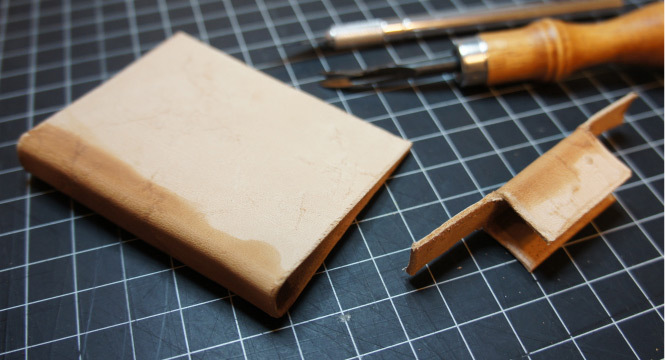 Wet both sides of the leather and fold the parts. 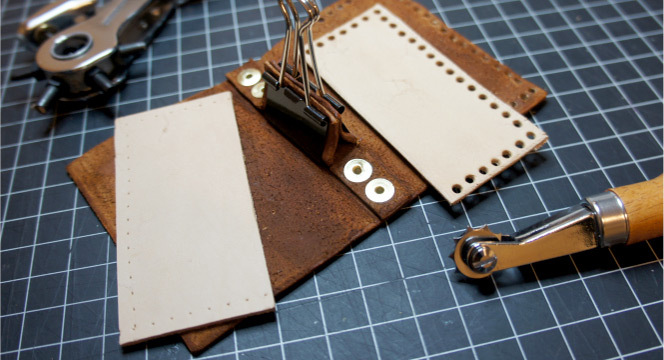 Punch the holes for the rivets. 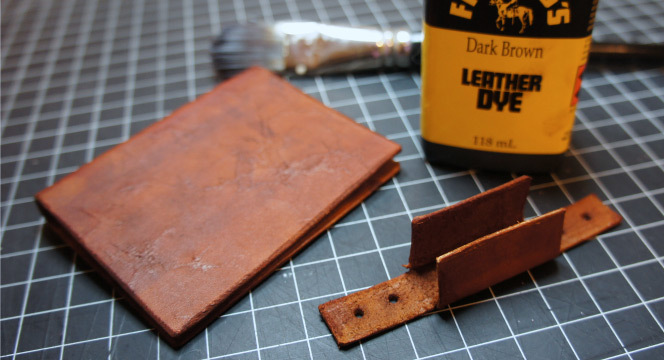 Dye the leather, and let it dry in the folded position to help form/hold the folded edges. Once dry, rivet the two pieces together with the bull-clip in place. Cut two more 3.5 x 1.5 inch pieces for the flaps. 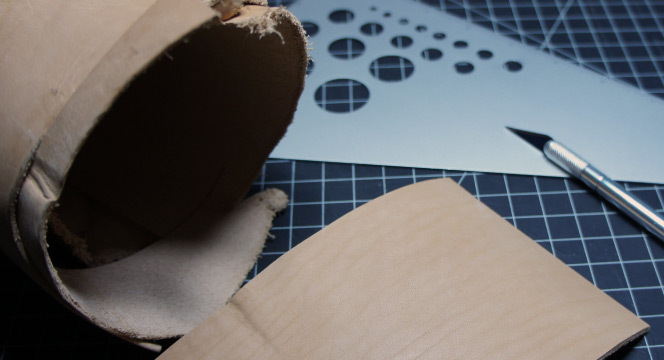 bunch out the holes on the flaps, then line up on the main body to get them properly aligned. 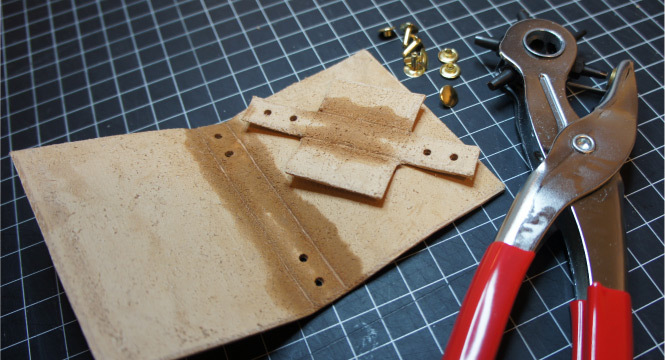 Dye and dry the flap pieces before stitching to the body. Then once together, slip the bull-clip arms into the flaps. 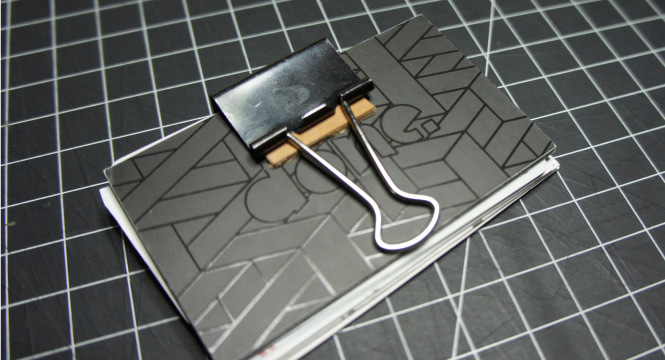 This works as a natural snap to hold the wallet closed around your cards and nicely apart when open. 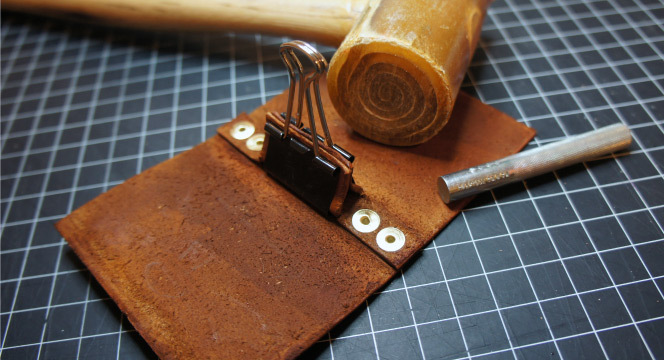 Once finished I recommend rubbing olive oil on it to help harden the leather and make it more waterproof.